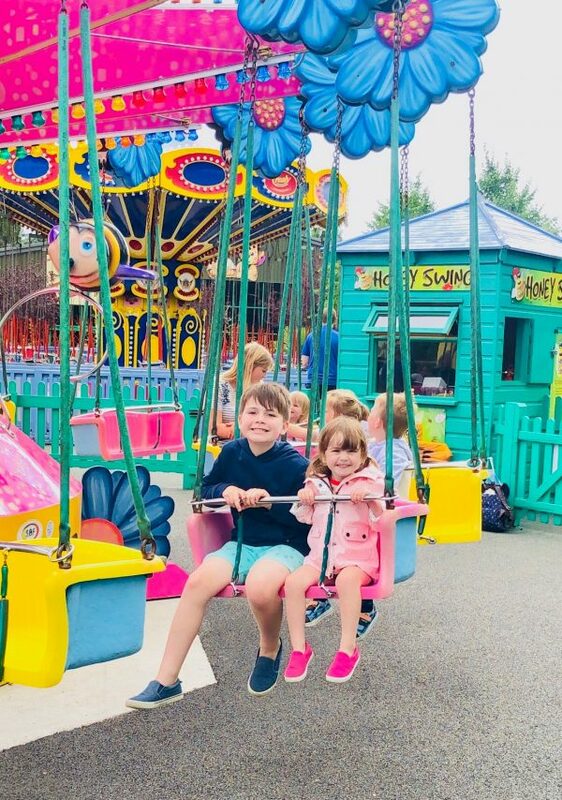 As part of our summer holiday fun I agreed to come down to Devon with the fambalam and review the Crealy Meadows Caravan and holiday park that is attached to the awesome Crealy Adventure Park, a theme park that is totally suited to small children. When I was first contacted I said yes straight away, I didn’t really need to brush up too much as I just knew the kids would love camping and staying on site gives you access to the park and all it’s facilities, but little did I know just how much fun we would have. Crealy meadows isn’t just a caravan and camping site, although there was more than enough of that to go around, no, they have holiday lodges too and that is what we stayed it. The lodges were beautiful, spacious and beautifully decorated with a hot tub to boot. It’s just what we needed because shortly after our arrival the heavens opened and we had to contend with an AWFUL storm. It was horrible! From lightening and thunder to heavy rain fall, we were so lucky that we managed to get a few hours out and about in the park before it landed. We spent most of our second day in the lodge, playing family games, which we bought from the Tesco which is 3 miles down the road, playing in the hot tub and relaxing in front of the TV. It isn’t exactly how we saw our day going but we had a wonderful time and it was so comfortable in the lodge. The beds were all made for us so no need to bring any camping gear and if you didn’t want to nip out of the complex for a trip to Tesco, the shop had everything you might need. With a spacious dining area, comfy sofas and two bathrooms, the lodge was perfect for a larger family. 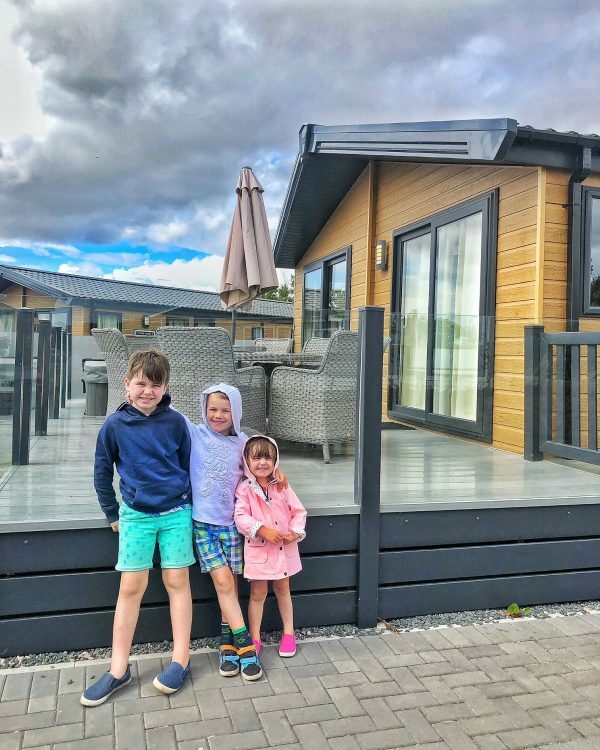 The microwave, dishwasher, cooker and fridge/freezer meant that it was ideal for fuss free self catering – on our final night we ate in with a lasagne from Tesco before putting the kids to bed early after a busy day! We tried out the Crealy Meadows restaurant too called the Clubhouse. I would recommend trying the all you can eat pancakes but I would avoid the sausage and bacon butty – the Clubhouse was busy when we arrived for our brekkie but I asked for my bacon crispy and it arrived the opposite, with Adam’s sausage and bacon baguette devoid of all bacon. When I raised it our server did tell us that sometimes, when busy, things get lost in translation – not the best start to a breakfast, however seeing the kid’s faces at the pancake station, we soon forgot our meals and just enjoyed watching their delight. We also tried an evening meal at the Clubhouse and we all really enjoyed it – the Pizza’s are basic but yummy and just what you need if you have been walking around the park all day. Whilst I’m on the topic of food, if we were to go back to Crealy, we would self cater and avoid the clubhouse in the evenings, but we would absolutely go to the soft play and Route 55 café in the park – their feed the family deal for £19.99 was brilliant: 10 chicken strips, 8 chicken nuggets, a large fries, a large beans and 4 drinks. It was a hit – and fed most of us with Adam rounding off with a cheeseburger. It really was delicious too – they did the chicken so well and the kids played in the soft play for hours. The park itself is wonderful, Edith was tall enough to go on all the rides (limit: 0.92m or 1.20m without an adult) so she didn’t feel she missed out on anything, in fact she loved it. 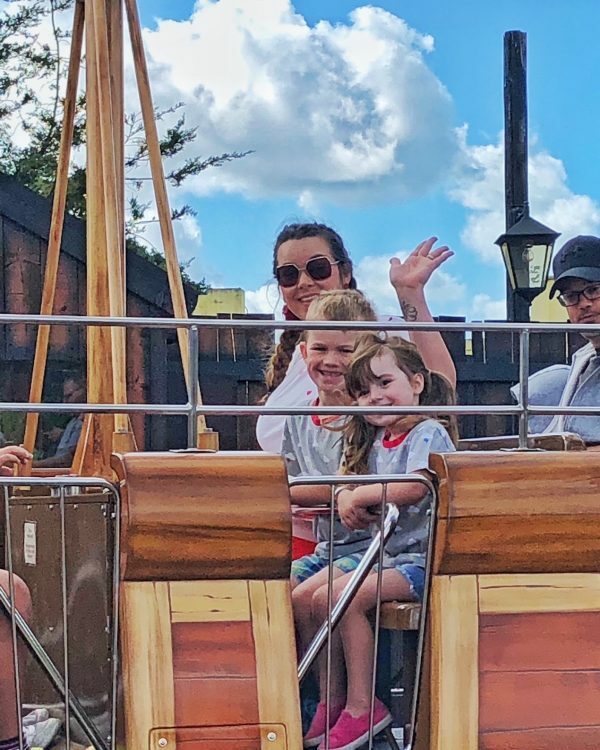 The maximus ride was her favourite as she is a little daredevil and she also loved the Dino Safari with Toby (no surprises that this was his favourite ride huh?) Reuben really liked the Dino Jeeps too but he mainly loved the play areas – there are so many. Regardless of whether it has started to drizzle and you need to take shelter for a bit, or it’s glorious sunshine, there were play areas. 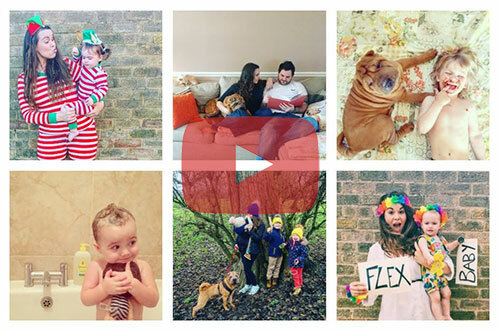 Big ones, small ones, ones that you could all do together – they loved them all. The best bit for Adam and I was around the back where they have a “wilderness” area with tree houses and funky bridges to cross. I loved every second of watching the kids climbing in and out of the tree houses and walking over the randomly shaped bridges. Every safety aspect seemed to be covered at the park too, from safety nets around the high slides so that the children couldn’t lean out to safety nets underneath bridges so that they couldn’t get wet or hurt themselves. It was all covered. One thing we really regret not being able to catch was the new stunt show City Cirque – Reuben was really excited about it but the rain was so bad on Saturday that we hardly went into the park for longer than a couple of hours and, despite all of the signs telling us to head in the direction of the big top tent and the times we needed to be there, the show wasn’t on on a Sunday. We did join a queue of people who were expecting a show because of the signs and they were most displeased that they couldn’t see it, which can only attest to how good it must be! The evening entertainment was also fabulous, held in the adventure zone, which is a huge soft play area, there was a different theme every night, with a children’s disco, a family magic show, a quiz night – genuinely something for every taste. If you’re like us and the entertainment in hotels isn’t really your bag then you could still appreciate the soft play area and arcade next door – just be warned, you spend a fortune so either be prepared for that or make sure that you only take £10! 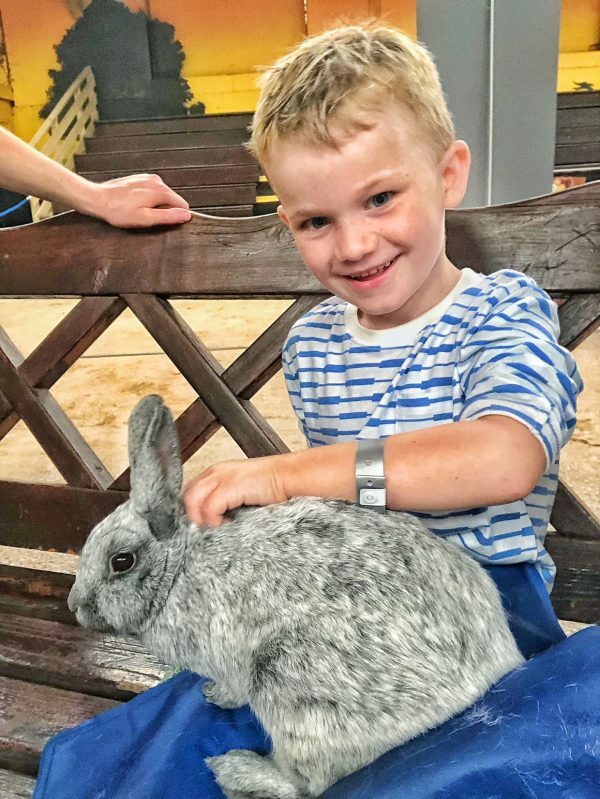 Last but by no means least if you’re asking Toby the Animal Whisperer, they have a fab petting zoo at Crealy, full of gorgeous guinea pigs, rabbits, creepy crawlies, crocodiles, goats, llamas and more. The ponies were especially appealing to Edith and the schedule you are given when you arrive shows you what times you can do which activity with the animals. 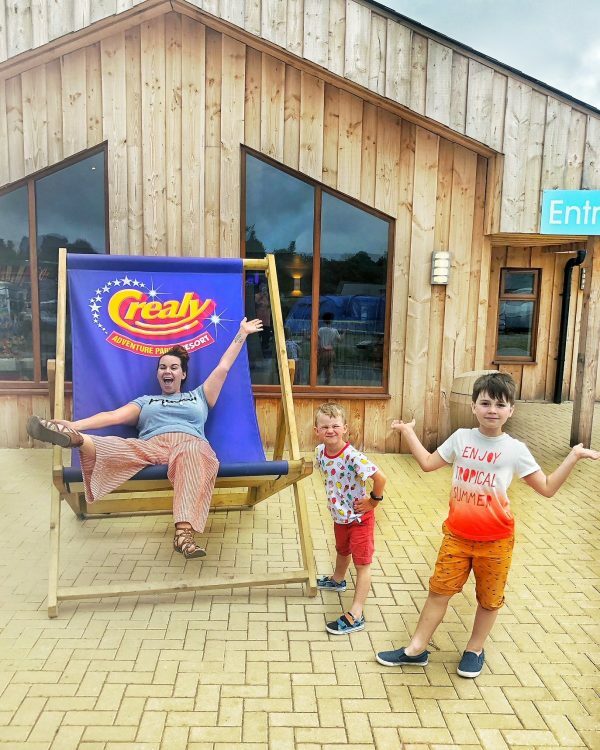 Every single member of staff at Crealy did their utmost to make the experience as fun as possible for the children and as relaxing as they could for the adults. From smiling faces to someone around until 11pm at night, there was always someone to help. Without a shadow of doubt. 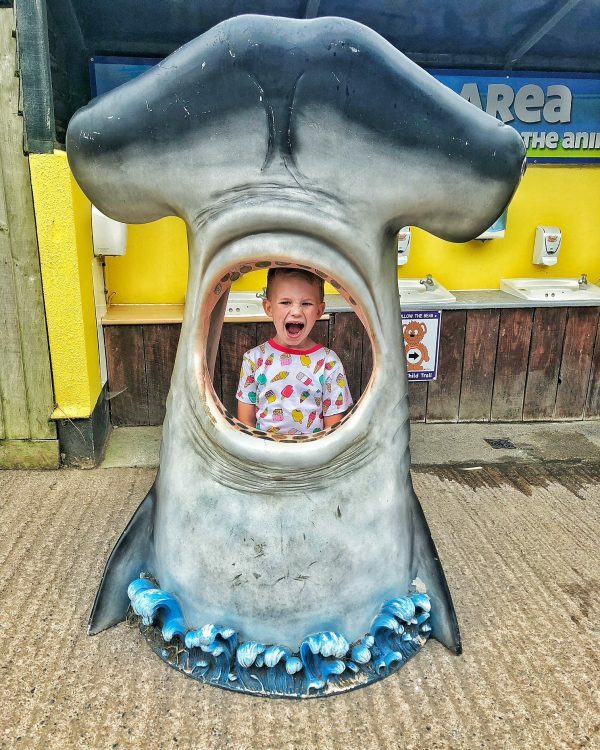 If you have young children and you are looking to holiday in the Devon area, be it camping, in a caravan or in a lodge, you can’t go wrong here. 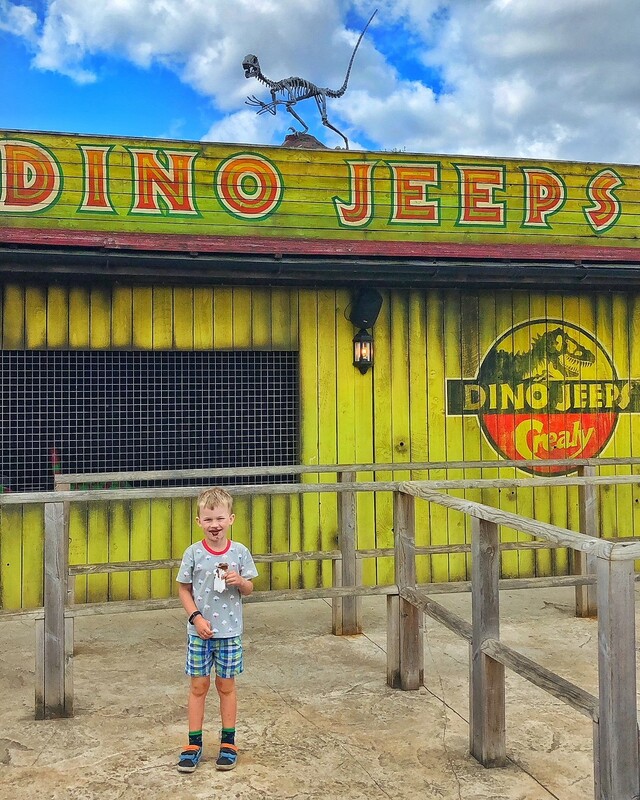 Torquay is around 30 minutes drive (or so we found) and they have a Dinosaur World which is a must for young dino lovers (though not big at all and will most likely only take you an hour – it’s quite pricey too but you can go back again, any time for 3 months). The Torquay museum was also fab for young children, with lots to see and really interactive learning. At the moment through the summer holidays they have a lego exhibition so you absolutely, 100% must try that out! We didn’t visit but Babbacombe miniature village was also highly recommended to us and just down the road! Our time in Crealy was brilliant, if we ever make it so far down south again we would absolutely take the kids back. 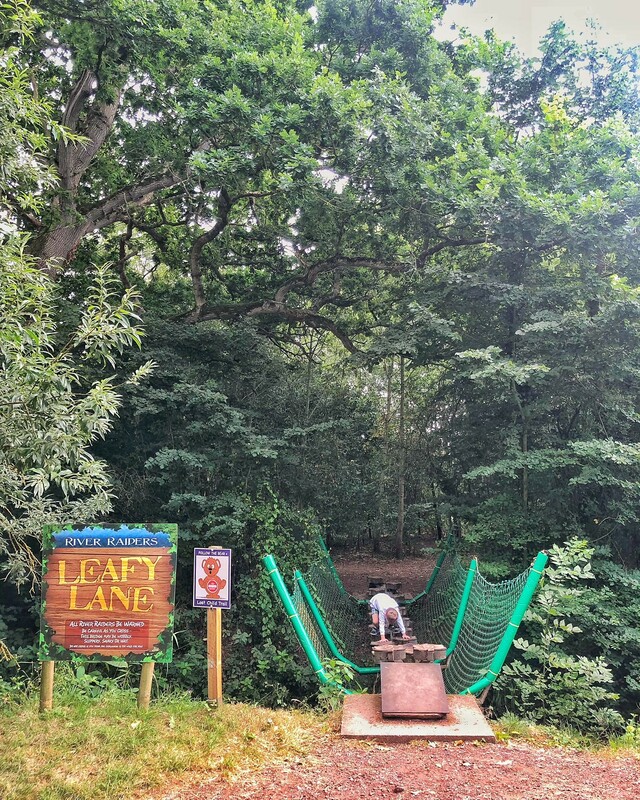 Crealy Meadows and Crealy Adventure Park gets the Shearsmith seal of approval!  If you want to book your Crealy adventure, you can do so here. The Halloween breaks looked amazing, and they are set to launch the south-west’s first ever Pantomime on Ice for Christmas! 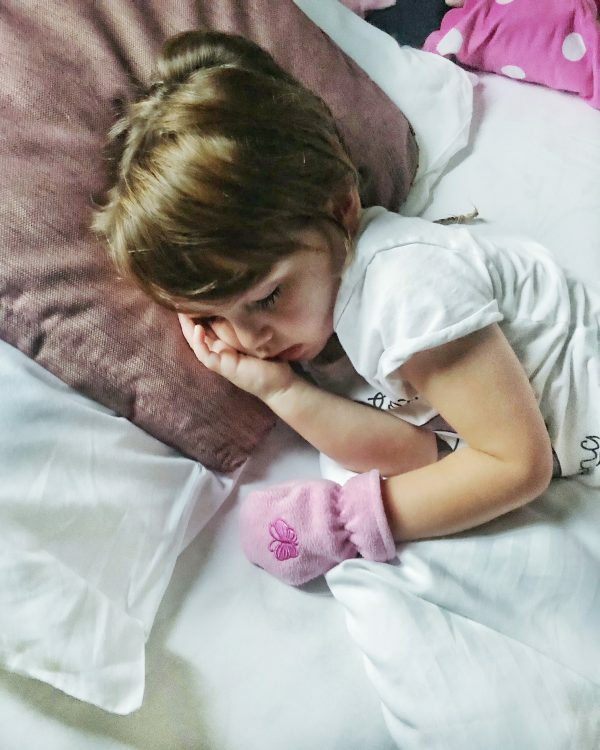 Previous Post 9 Reasons why parenting is like surviving a Zombie apocalypse. I loved watching your Insta stories about this. It looks awesome for kids!